If there's a silver lining around the dark clouds looming over the Canadian Tire Centre, it's this: for the first time in years, you can actually take a family of four to an NHL game for under a hundred bucks. There's no doubt about it, 2018 has been an annus horribilus for the Ottawa Senators and their fans. You'll need patience, timing and maybe a bit of luck. We checked popular ticket websites at noon ET the day before the Senators were due to host Las Vegas, and the prices would blow your $100 budget right away. The cheapest seats on Ticketmaster were $29 each in the Coca-Cola Zone, up in the rafters of sections 314 to 316. The lowest-priced tickets on resellers StubHub and SeatGeek at that time were about $33 each in section 323. But don't give up yet. The cheapest tickets for the nine home games so far this season ranged from $9 to $39, before taxes and fees. The cheapest ticket to Tuesday's game against New Jersey was about $10.50, found on Monday. In most cases, the cheapest tickets were found in the 24 hours before puck drop. There was one exception: the cheapest seat for the game against the Montreal Canadiens on Oct. 20 — the best-attended game of the season so far at 18,442 — was sold nearly three months earlier. Stubhub doesn't explicitly lay out its fees, saying "service and delivery fees can vary depending on event and ticket type," and didn't comment on them for this story. But based on a sampling of seats for Thursday's game, the fee works out to about 35 to 40 per cent, plus a five per cent tax. Based on Stubhub's lowest ticket price so far this season, let's settle on a low, low price of $16 a ticket with taxes and fees. 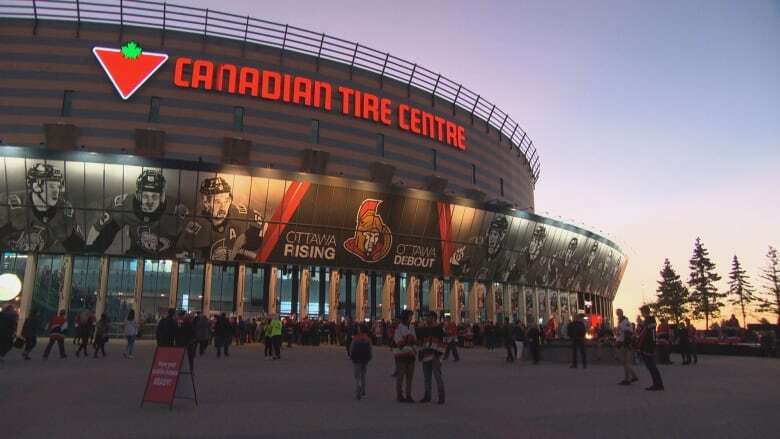 Parking in lots 5, 6 or 9 at CTC is $12 this season, cheaper than in years past. The Senators introduced a new Sens Snack Pack that can be as cheap as $5 plus tax, available for an hour after doors open at CTC. Sorry, beer is out of the question if you want to stay within your budget. Of course, to really save some money, you could eat at home. Total for a family of four: About $23 for the cheapest option. So that's four tickets, parking or bus fare, and four snack packs for $100. Enjoy the game.